When it comes to pre-eminent makers of headphones, Sennheiser is one of only a handful of elite brands at the very top of the game. German company Sennheiser has made a name for itself producing phones of the highest standard with exceptional sound quality at very reasonable prices. Sennheiser have an extremely wide – almost bewildering – range of phones and choosing the best phones depends very much on the kind of use they are destined for. 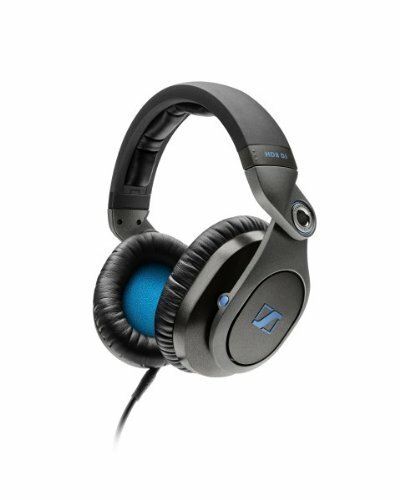 Here is a guide to choosing the best Sennheiser headphones most adapted to your requirements. Overall, an ideal choice for the serious listener who values sound quality above all else and who has no financial constraints. They could work well for home cinema since the cable means there is no latency – but they are not designed to be versatile and are not suitable for general use. The true audiophile’s headphones. If you are looking for the most authentic listening experience with music reproduction as close to the artist’s original intention as possible and with near-perfect clarity of sound, Sennheiser’s top-of-the-range HD800 S model is the obvious choice. These open-back, around-ear phones give a wide soundstage – the sensation that one is listening to music in a room rather than on headphones – and offer a frequency range broader than the human ear is even able to detect. They are well constructed and sturdy and, although on the heavy side, are comfortable to wear for longer periods of listening. Sennheiser’s ultimate critical listening headphones are designed for serious, stationary listening and would not be suitable for sports, commuting or office use. Open-backed phones are designed for the highest-quality sound but offer minimal isolation against noise from the outside environment. Overall, an excellent choice for an audiophile who wants a pair of Sennheiser phones with excellent sound reproduction but is unwilling to pay for the most expensive model. These are not recommended for general use. For those who need fantastic sound quality but who are unwilling to meet the price tag of the HD800 S phones, the HD650 model could be the perfect compromise. While not cheap, they cost much less than the more expensive version while still offering high levels of performance. They are designed for sound quality and, while not reaching the heights of perfection of the HD800 S, they are still capable of producing rich, crisp and clear sound. As with their more expensive cousin, the soundstage is wide, producing a deliciously deep sound. These are similarly well-made. They are comfortable to wear, even for extended periods, and they look slick and professional. The 650s suffer from the same issues as the top-of-the-range model. They are open-backed so offer poor isolation and also leak sound badly, meaning if you wear these for your commute, you risk disturbing fellow passengers. A good option for gaming as well as home cinema but not great for use on a noisy subway or in an office. 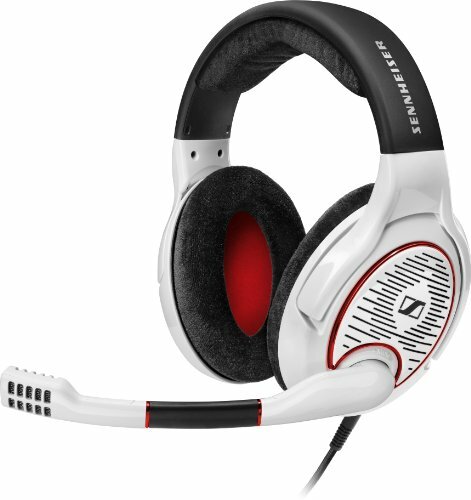 This is Sennheiser’s dedicated gaming headset and offers excellent sound quality as well as important features for gaming. With gaming headphones, the key area to look at is latency, the time lag between seeing the image on screen and hearing the sound. Headphones with a cable have no latency but wireless phones can have a noticeable time lag. If you only use your phones for music, this is not important, but if the sound needs to match images on a screen, any lag will impair your enjoyment. With these headphones, the latency is minimal, meaning you see the images and hear the sounds at practically the same moment without a noticeable time lag. With the GAME ONE headset, you have the freedom of movement of wireless but with no perceptible lag. Bear in mind, they are open-backed and designed for sound quality. They do not provide good isolation and so are less suitable for use in noisy environments. These are not good all-rounders. This is a good budget option for someone whose main uses will be listening to music at home or with home cinema. For those who need more versatile headphones, better options are available. If you’re looking for Sennheiser’s renowned sound quality but you simply don’t have the budget to consider some of the pricier models, the HD280 PRO could be a worthy purchase. Make no mistake, these come nowhere near competing with the HD 800 S model or even the 650s, but for headphones at the lower end of the price range, this model performs admirably. For the price, they are also well-constructed and comfortable to wear. This model was not designed with all-round use in mind. 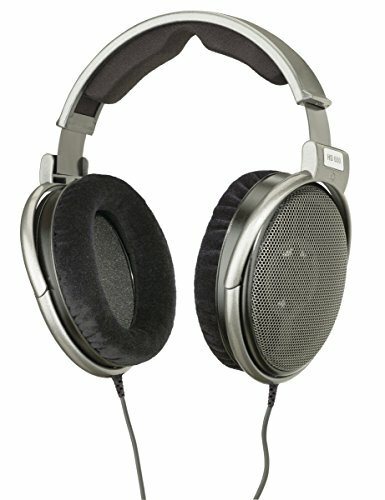 These are open-back headphones, offering little in the way of isolation and they perform best in quieter environments. These phones do not perform well when there is a lot of external noise and are also not suitable for sport. These headphones are excellent value if you are looking for something for use at home or in the studio where outside noise is not an issue. These are not the best choice for all-round phones destined for use while commuting, in the office or for sport. If you’re in the market for a pair of Sennheisers and the higher end of the price range is out of reach, but you still want something a step up from the most basic version, you could do worse than consider a pair of HD 599s. This model offers a significant increase in performance compared to the HD280PROs without an accompanying huge jump in price. The quality of sound reproduction is commendable, and they offer an improved soundstage, giving a real impression of depth when compared with headphones such as the previously reviewed model. They are a pleasure to use. These headphones, as with all the above-mentioned models, are designed for use in quiet environments. They feature an open-back design for the best listening experience, but they perform less well when there is background noise. If you are looking for accurate, high-quality sound but need something more versatile, these would make an excellent choice. If, however, you value exceptional sound quality and a deeper soundstage and you plan to listen in quieter environments, better, more specialized options exist. 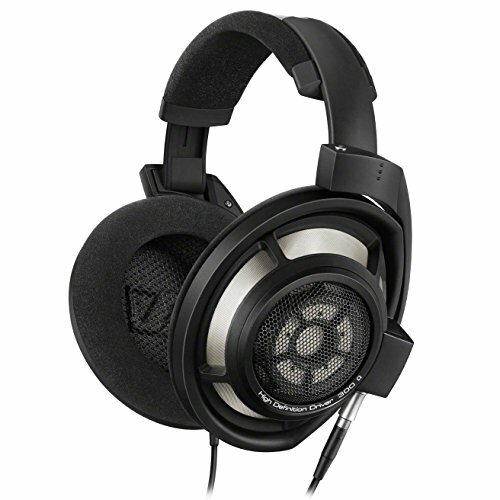 The Momentum 2.0, an upgrade on the original Momentum model, can be considered Sennheiser’s current flagship general-use headphones and, unsurprisingly, they are an extremely popular choice. Here, we are looking at the wireless version, but they are also available with a cable. When going wireless, a vital consideration is battery life. The Momentum 2.0 puts in a strong performance in this area, and a full charge should easily give you over 20 hours of continuous listening. If this is not enough, you can always plug in the cable in emergencies. The sound quality is admirable, with crisp, accurate reproduction. 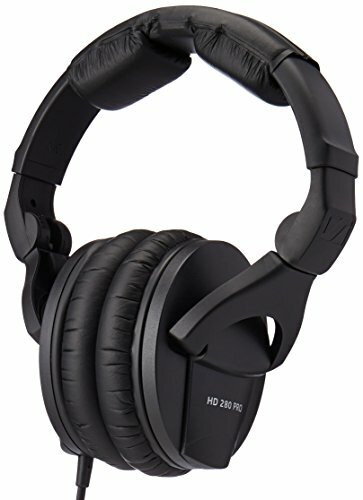 These being closed-back headphones, the soundstage can’t compete with open-back models, but they offer more isolation in noisy environments and the active noise reduction works extremely well. For this reason, these are an appropriate choice if you will be listening in loud places. If you are likely to be listening on crowded trains or in a busy office, these are much more suitable than more specialized open-back options. The Momentum 2.0s are comfortable and stay in place, and since they are wireless, they would also be suitable for moderate sports use. 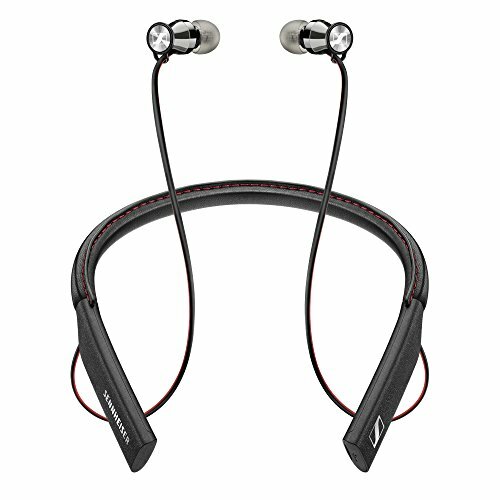 A great option for someone who wants a versatile, lightweight, in-ear setup that is suitable for sports use. They don’t offer the soundstage or accuracy of some of the more expensive over-ear models so are less suited to specialist critical listening. When choosing headphones for sport, many would argue that the best configuration is wireless and in-ear. Wires get in the way and over-ear models are too bulky and prone to falling off. Sennheiser have now released their own wireless in-ear phones and they’re a winner. As always, battery life is a key consideration. These will last around ten hours, plenty of time for any gym workout or long run outside. Another important feature for sport headphones is ease of use. You won’t want to be fiddling with awkward buttons changing songs when you’re trying to beat your personal best, so the simple, intuitive controls on these headphones are more than welcome. These versatile, closed-back headphones are not limited to just sports use, however, and can make a useful hands-free telephone headset. 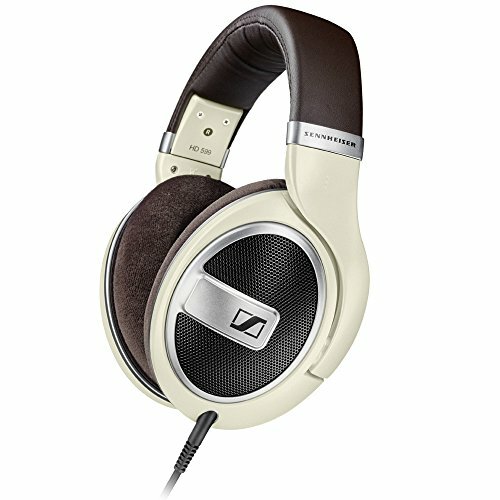 The sound quality is just what you would expect from Sennheiser and they look like a quality piece of equipment too. On the downside, these headphones are not actually designed for sports use and they are not waterproof or sweatproof. While the in-ear part shouldn’t have any problems during your workout, the neckband is made of good-quality leather and may suffer if you sweat heavily onto it. While DJs’ preferences are often highly personal choices, this model is as good as just about anything else out there. If you don’t mind paying the price, they are well worth the consideration of any professional DJ. A DJ has very specific requirements from a pair of headphones, including clear sound reproduction with the right emphasis as well as comfort in different positions. 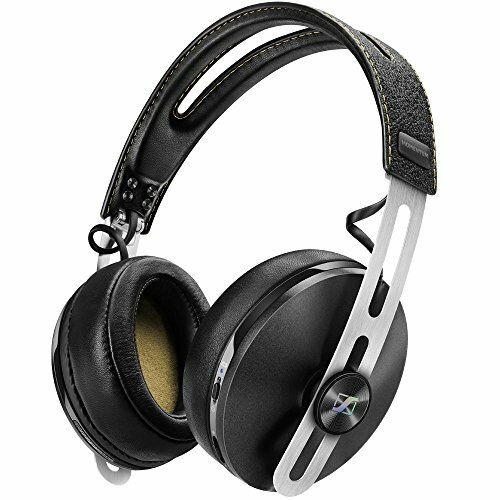 These are Sennheiser’s dedicated headphones for DJs and are an excellent choice for bedroom and club DJs alike. While there is no such thing as an “industry standard” for headphones on the DJ circuit, Sennheiser has long been a popular choice. Designed with DJs in mind, the HD 8 model offers good comfort, whether worn on both ears, on just one or simply hung around the neck. The sound reproduction is particularly suited to DJing. The bass is strong and clear, something extremely important when beat-matching, while the rest of the range is crisp. Another important feature for a DJ is isolation. When cueing up the next tune, you need to be able to hear what is happening in your ear without it being drowned out by the music in the club. Again, these phones don’t disappoint. One final touch that experienced DJs will appreciate is that they fold up into a supplied hard case, meaning they are likely to survive a lot longer than headphones that just end up thrown into a bag at the end of a gig. With such a broad range of Sennheiser products available, you are certain to be able to find the perfect set for you, regardless of your requirements, intended use or budgetary limitations. At one end of the scale, Sennheiser make affordable, entry-level phones, such as the HD280PROs, while at the other end, attempt to reach aural perfection with the outstanding HD800 S model. In between lies just about everything else imaginable. While it’s almost impossible to choose a winner as everyone has different needs, for us, with a combination of price, high performance and versatility, as well as the practicality of being wireless, our winner and recommended Sennheiser phones are the wireless Momentum 2.0s.